Waterchase Elegance! Located in a private guard-gated community, in one of the most beautiful parts of NW Tampa, this charming French Provincial style home has four bedrooms, three baths, two car garage, with a split floorplan plus lovely private pool and spa! A warm & welcoming pavered, screened patio contains the pool & spa, plus an additional outdoor fire pit area, with a small pond view in the back- perfect for relaxing outdoors! With hardwood floors, an island kitchen, new interior paint, a brand new refrigerator, hurricane shutters, and a floor plan that allows everyone to have privacy, this home is sure to please! Highly desirable Waterchase boasts eight distinct neighborhoods set amongst 475 acres. The clubhouse grounds are amazing and a must see, with two Olympic sized pools, fabulous two story waterslide, four lighted tennis courts, multi-use activity field, lighted basketball courts, playground, fitness center and activities room. There are available meeting rooms and onsite property management, with a two story fireplace in the clubhouse! 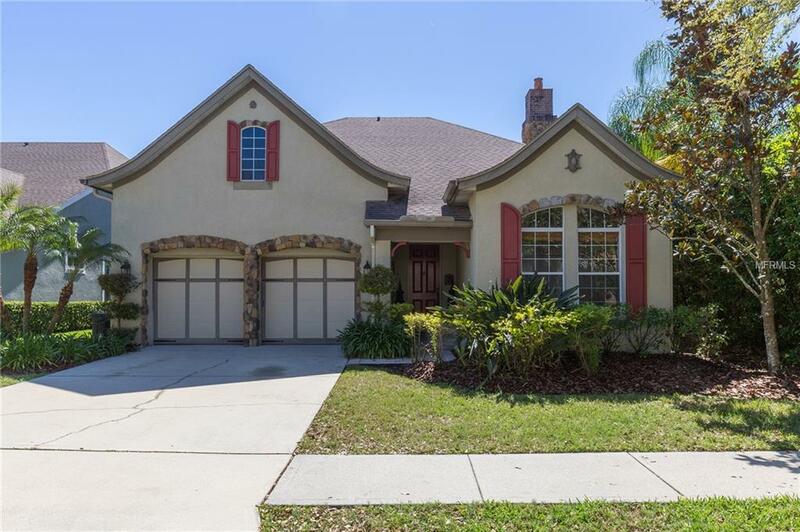 This 24 hour manned guard gated community is family friendly, with top rated schools, within 30 minutes of downtown Tampa and only 20 minutes to Tampa International Airport. The gulf beaches are a quick 20- 30 minute drive West! Waterchase is waiting for you!